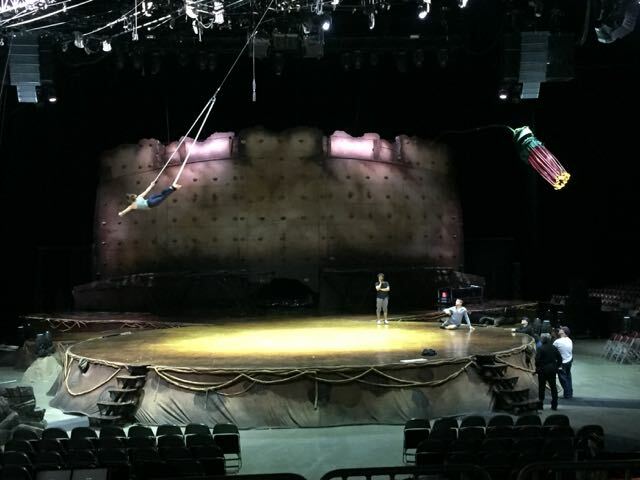 cirque du soleil Archives | What Should We Do Today? 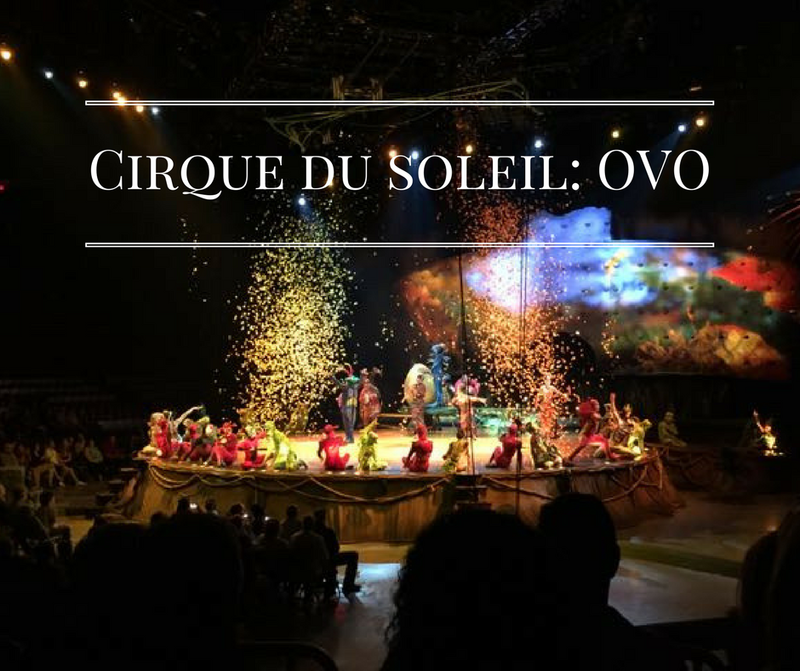 Disclaimer: I received two tickets to Cirque du Soleil Ovo in exchange for a review on my blog. 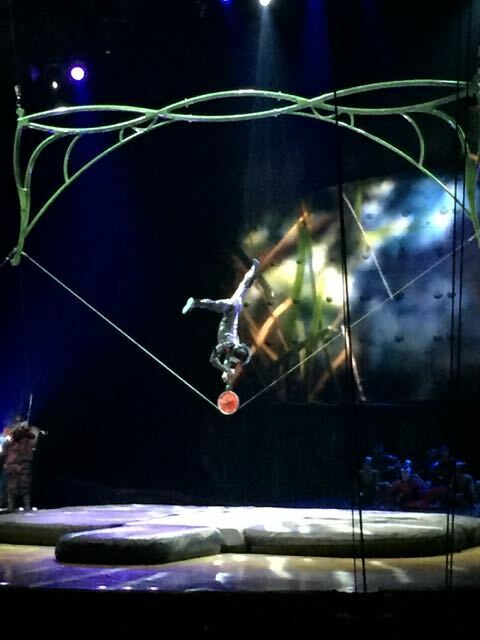 Cirque du Soleil never fails to entertain! Ovo is a story about the life of bugs and the performances and entertainment revolve around this theme! The costumes are bright and fun and the music is lively with Brazilian influences. 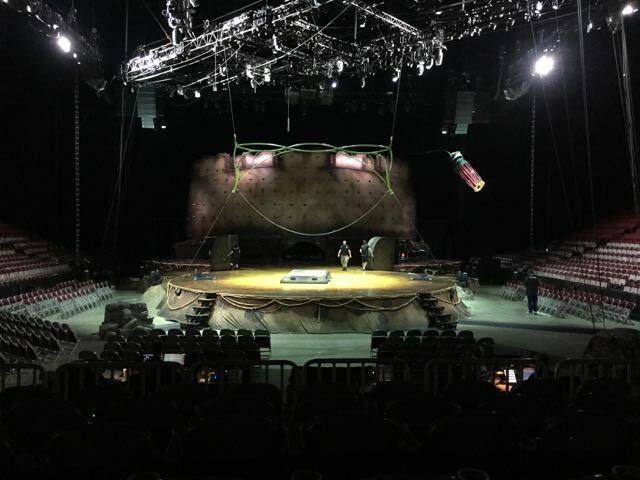 Jaden and I had the opportunity to visit behind the scenes at The Schottenstein Center as several of the acts rehearsed the day of the opening show in Columbus. The costumes are amazing and each performer’s costume is handmade. 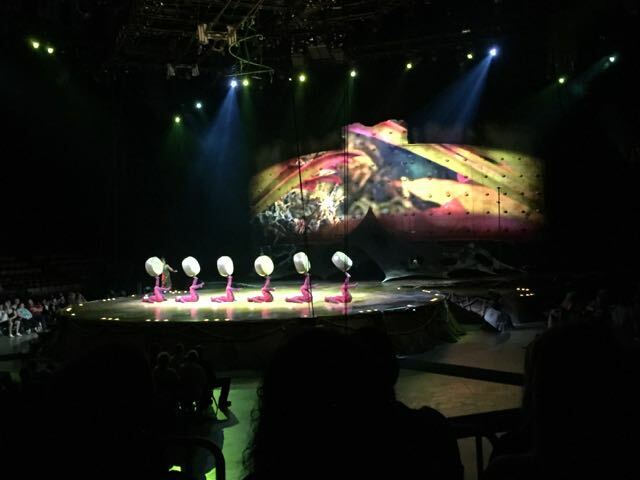 We learned that each performer has 2-3 costumes and each costume takes 40 hours to make! To top it off, there are 50 performers! I haven’t done the math on that, but that is a LOT of hours of work!  There are 10 acts with colorful characters who perform in between: bugs who entertain, fall in love and engage the audience in the process! Let’s talk about Foot Jugglers. First of all, that’s a thing. 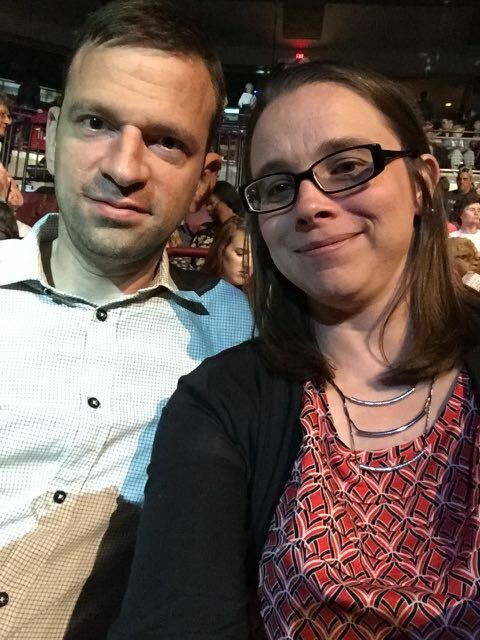 Second of all, it was my husband’s favorite act of the show! It was amazing that they could juggle these round “kiwis” with their feet, perfectly in sync with each other. Just amazing. (I’m going to say amazing a lot, be forewarned.) Also, you can buy your very own “kiwi” at the souvenir counter. . . I’m thinking Father’s Day gift for hubby?! The crickets on the Trampo Wall were probably my favorite act, which came towards the very end. 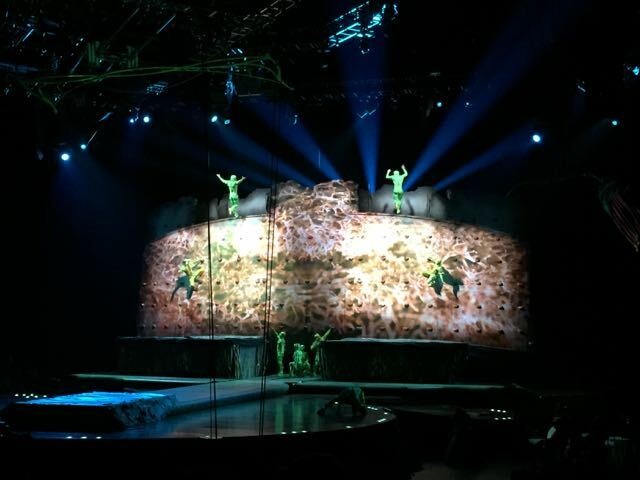 The performers scaled the wall with the help of a trampoline! It looked like so much fun! 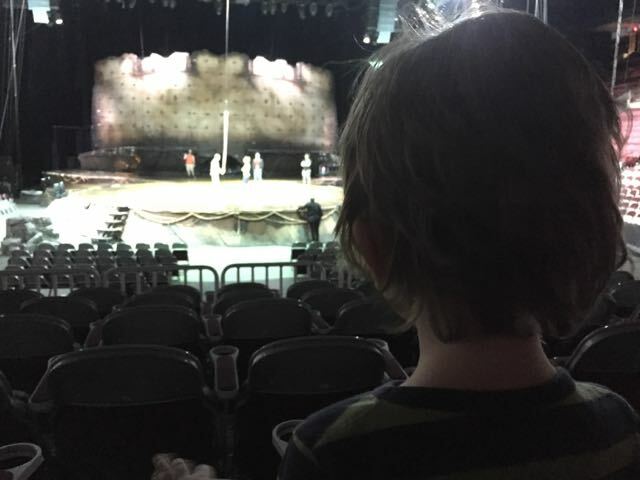 My husband and I saw the show as a date night, but the show is kid-friendly. There were plenty of kids there on opening night! My personal thought is that I would take my 5 year old, but my 2 year old would have trouble sitting there for 2 hours. 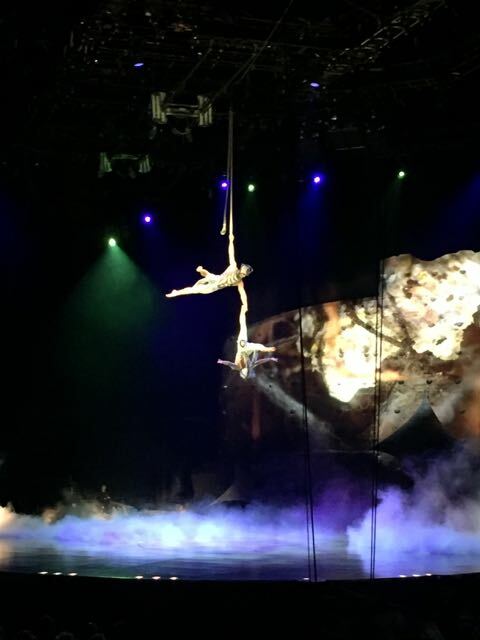 The show is non-stop action and it is really captivating, so I think my 5 year old would have been riveted. 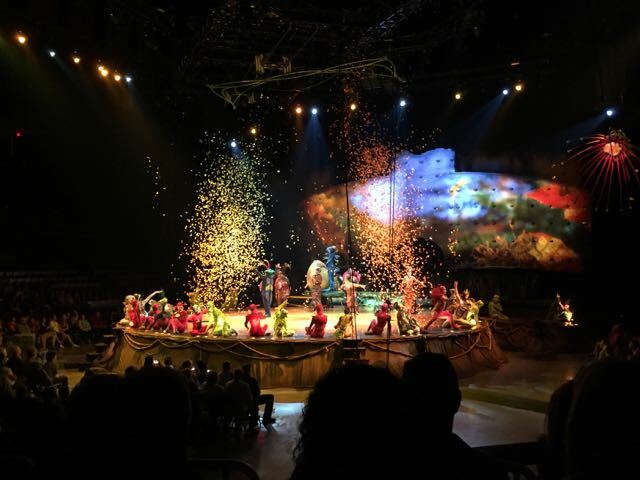 This is just my own opinion for my own children – I definitely saw children younger than 5 there at the show! I do feel like I should add that there are a few sexual innuendos between the bugs (I know, that sounds weird! 😉 ) . It’s probably something my 5 year old wouldn’t notice and not something your 10 year old hasn’t seen on a TV commercial. But I didn’t want anyone coming back and saying, “You told me it was kid friendly and now my child is scarred for life.” So there. You have that. Adult tickets start at $53 and Child tickets start at $25 Family 4 packs are also available. 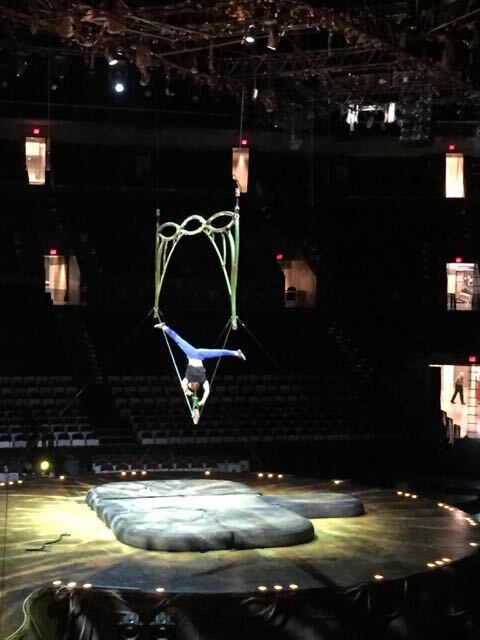 Thanks so much to Cirque du Soleil and The Schottenstein Center for a fun night out!